Modern thermodynamics is a unique but still not a logically self-consistent field of knowledge. It has a proven universal applicability and significance but its actual potential is still latent. The development of the foundations of thermodynamics was in effect non-stop but absolutely no one has any idea about this. This book is the first of its kind that will motivate researchers to build up a logically consistent field of thermodynamics. It greatly appreciates the actual depth and potential of thermodynamics which might also be of interest to readers in history and philosophy of scientific research. 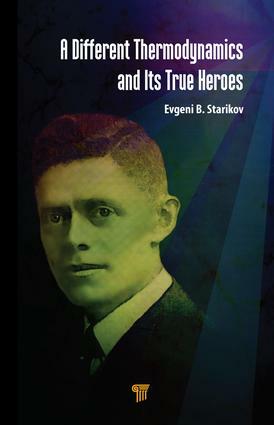 The book presents the life stories of the protagonists in detail and allows readers to cast a look at the whole scene of the field by showcasing a significant number of their colleagues whose works have fittingly complemented their achievements. It also tries to trigger a detailed analysis of the reasons why the actual work in this extremely important field has in effect gone astray. It comprises five chapters and introduces three scientists in the first two chapters, which are specifically devoted to the Scandinavian achievements in macroscopic thermodynamics. These introductions are novel and call for a detailed reconsideration of the field. The third chapter acquaints the readers with their fourth colleague in Germany who was working on the proper link between the macroscopic thermodynamics, kinetics, and the atomistic representation of matter. The fourth chapter brings in their fifth colleague in the United States who could formally infer the famous formula S = k * ln(W), ingeniously guessed by Ludwig Boltzmann, and thus clarify the physical sense of the entropy notion. The last chapter summarizes the above-mentioned discourses. 1. Peter Boas Freuchen (1856–1959): His Life and Work 2. The Life and Work by Nils Engelbrektsson (1875–1963) and Karl Alexius Franzén (1882–1967) 3. Max Bernhard Weinstein (1852–1918) 4 The Work and Life of Dr. George Augustus Linhart (1885–1951) 5. The Different Thermodynamics: What ought to Be the Proper Mathematical Instrument? Evgeni B. Starikov is a specialist in theoretical biophysical chemistry and has 30 years of professional experience. He is author of about 100 journal papers and has also co-edited a book. Currently, he is a freelance researcher at Chalmers University of Technology, Gothenburg, Sweden, and at Karlsruhe Institute of Technology, Germany.